The idea of a stamp-a-stack is that the cards are quick enough that you can complete a stack of them in one sitting, but still nice looking cards you'll be proud to hand out to your friends and family. A single layer card is about as simple as you can get! 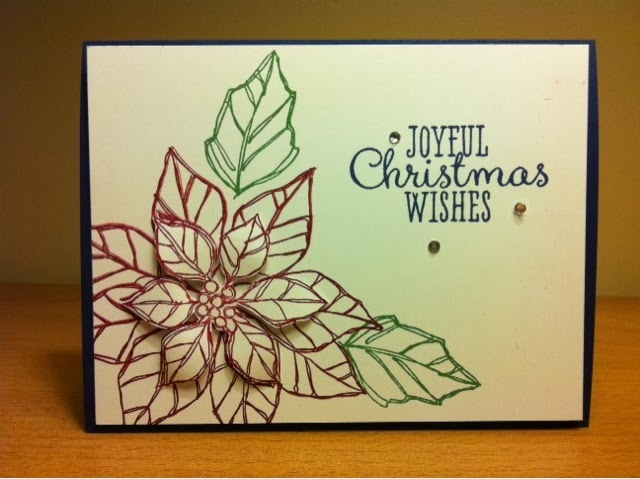 Using the gorgeous Joyful Christmas stamp set and three rich colours of ink: Night of Navy, Cherry Cobbler and Garden Green are the trick to making this card work, along with a few rhinestones for some sparkle. I have a few ladies who stamp with me who like a bit more to their cards. They can step their cards up a little by adding the second, hand cut layer to the poinsettia image which is popped up on a dimensional. E-mail me if you're interested in joining us at the Stamp-a-Stack. 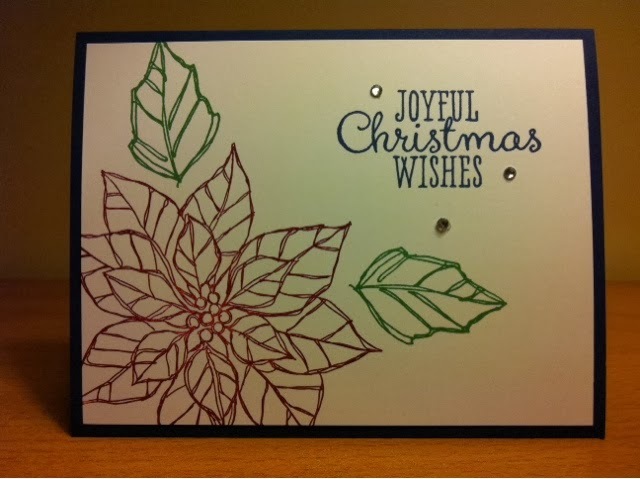 Have you started working on your Christmas cards yet?